A Sherbet Bomb from the ‘60’s! Feel the zing of this effervescent red cherry sherbet bomb as you tongue your way through Soul Bossa Nova (aka the Austin Powers movie theme). 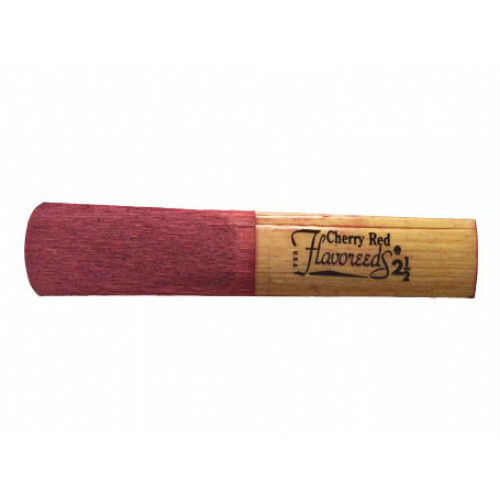 Like Austin Powers, if you’re trying to escape band practice, just before the Conductor explodes, go for the Red Cherry Sherbet Reed. Chanel your inner international man (or woman) of mystery, avoid the exploding fembots and go wild for Cherry Red Sherbet Bomb Sweet Reeds! Reed colour* the hue of cherry sauce - Yum! 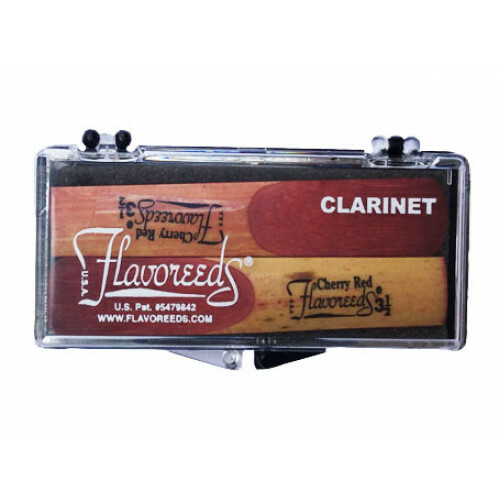 Flavoreeds are made from quality cane, grown in the South of France; the same region from where Vandoren cane is harvested. They are made by a well known French manufacturer. The ingredients used in flavoreeds are natural sugar-free food additives, like those found in baked goods in any supermarket. Students generally find that unflavoured reeds have an unpleasant taste. Because flavoreeds taste good, students report higher motivation to practice. The flavour is imbued into the pores of the reeds, so it lasts practically as long as the reed lasts. When the flavour runs out, it's time to use a new reed! Flavoured reeds are not a gimmick, they are genuine playing reeds for musicians at all levels. For more information and for details on how to care for your reeds see our topics page. Almost too hard to blow but if you can handle it, gives a lovely clear tone and stability in the high notes. For the advanced player. Also good for ‘chops of steel’ competitions amongst your friends. For strong lips that regularly pump 30 reps of 10 kilograms on an off night at the gym. For the advancing player doing a lot of playing. These are getting harder to blow through and suited for those who wish to achieve good tone. For the beginner to intermediate player or for lasting through longer jam sessions.